D. Lawless Hardware featured in This Old House Magazine!! 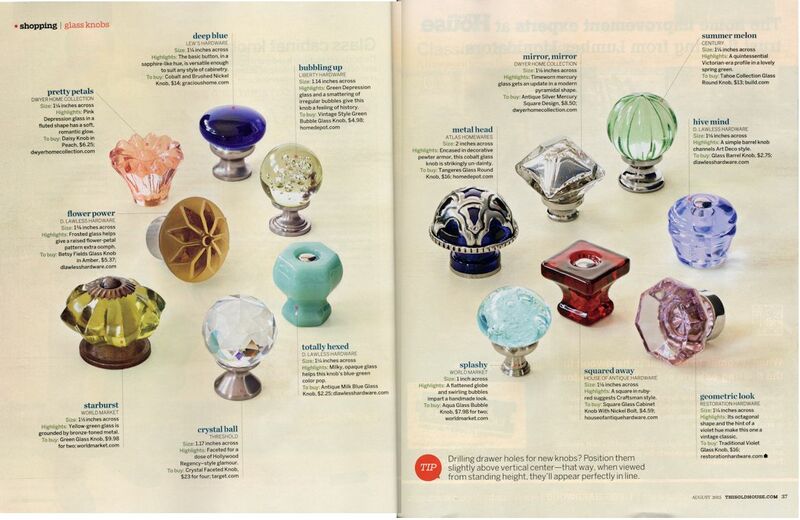 We are very pleased to show you the spread from the August edition of This Old House Magazine that features three knobs from us alongside big dogs like World Market! 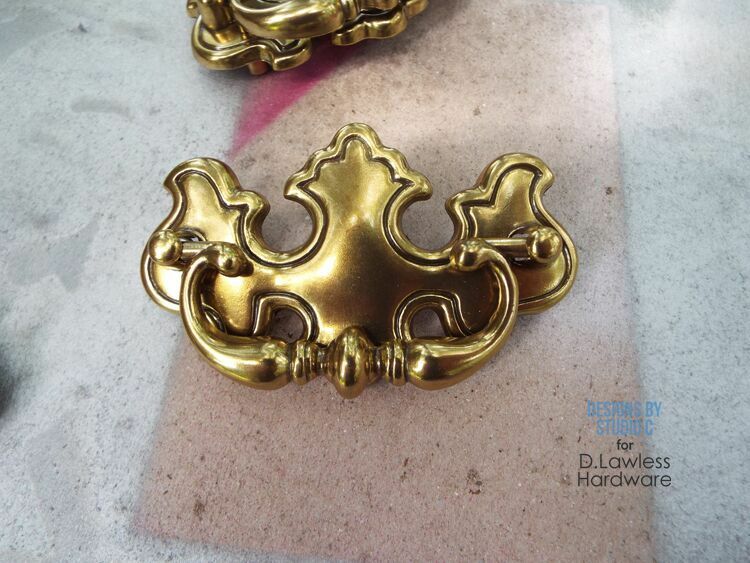 They featured two D. Lawless brand glass knobs and an older style from Liberty Hardware that we carry. I linked to the stuff from us right here below. By the way, compare prices on this stuff. 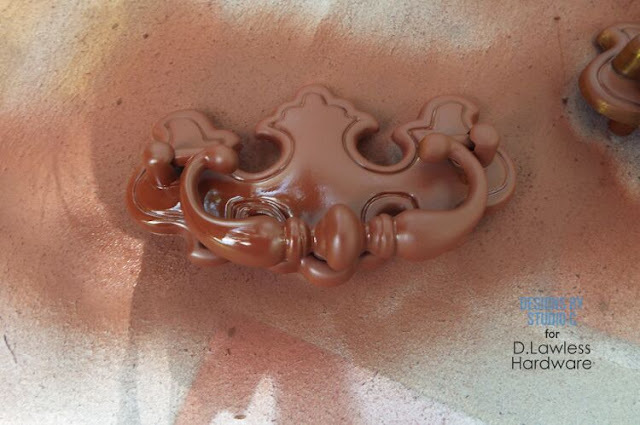 Our knobs DESTROY the competition in the price category and look just as beautiful or better! This nice before and after was done by a local talent from the Peoria area. Since I moved to Peoria I've been looking to work with creative people in the area and I'm happy for this to be the first post in that vein. We provided the hardware and local hobbyist Gary did the rest. The result is beautiful! 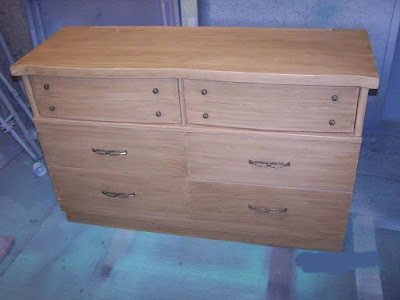 Gary has a small website, The Furniture Refurbisher, where you can contact him for reviving your old furniture if you are in the Peoria or Bartonville, IL area. And the finished product with new satin nickel knobs and 5" satin nickel pulls! End of July Coupon!! 20% off orders over $100! From now til the end of the month you can use coupon code "20percent" during checkout to receive...you guessed it, 20% off of all orders over $100! I know! It's hard to reach $100 with our low prices, but you can do it! One of the things I love to do the most is update old light fixtures. It is so fun to clean it up and give it a pop of color! This particular light fixture was brass with plain glass, and I purchased it at my local Habitat for Humanity ReStore for $5. Before I could update the light fixture with spray paint, I needed to take it apart and clean it. I washed the parts thoroughly with soap and water, then let them air dry. I sprayed a coat of primer on each piece. 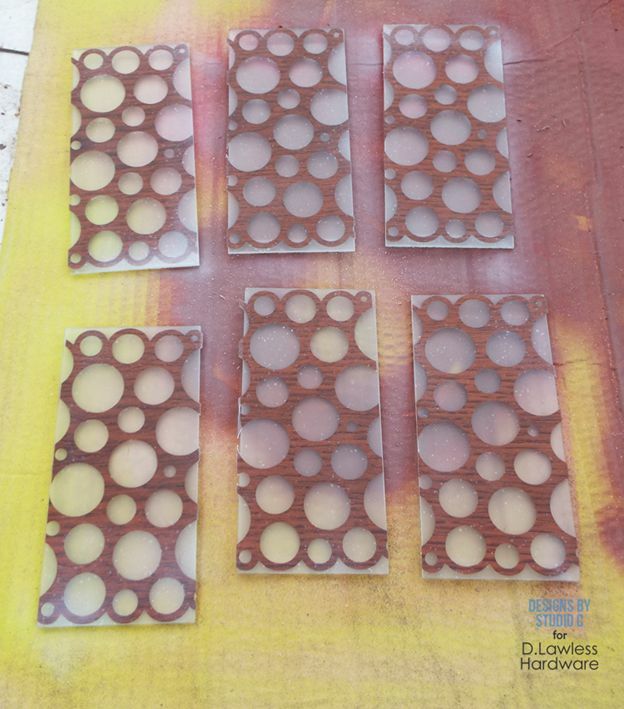 I like to use red oxide primer for rusty metal because I find that the spray paint sticks to it better! I chose a spray paint in pink and applied two coats to each piece. I used a vinyl stencil with dots to apply to each piece of glass. The stencils were applied to the inside of the glass because the outside was beveled. 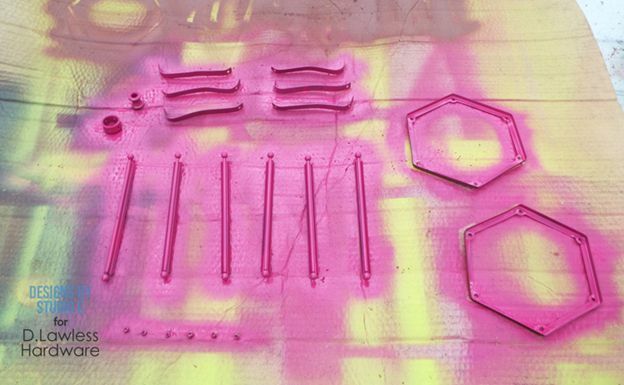 I used frosted spray paint over the stencils on each piece of glass then removed the stencils when the glass was dry. I put the fixture back together and added a brand new socket and cord plus brand new LED bulbs. 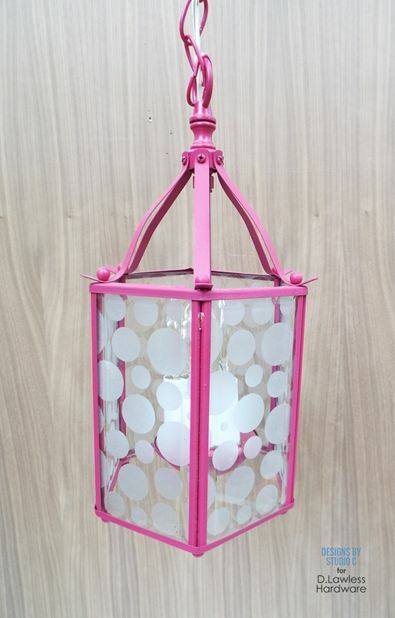 This updated light fixture will look great in a funky home office or a little girl’s room! It is amazing what a can of spray paint can do, and it is a very inexpensive project! 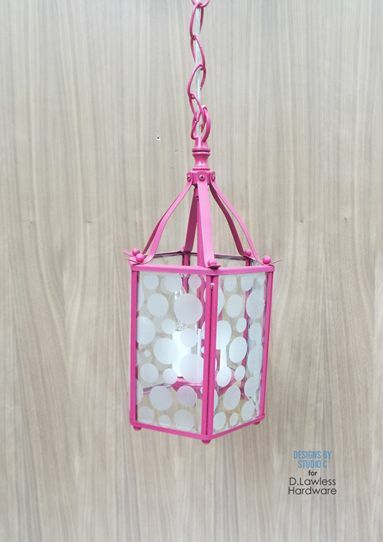 Giveaway at My Repurposed Life! We are giving away two $50 gift cards to our website on My Repurposed Life! 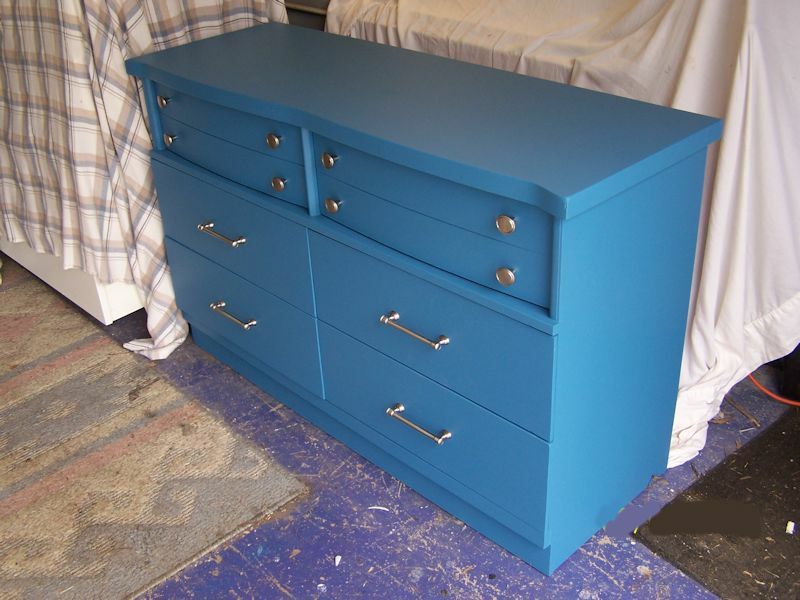 Gail has used our hardware on a lot of different projects and I've included pictures from a couple of them below. 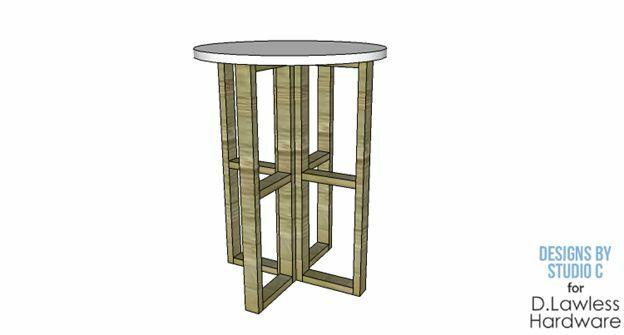 This table is really, really easy to construct… With a round top and open frame legs, this table will look great in any room with any style! Four leg assemblies are created which are attached to a 2x2 hidden in the center. 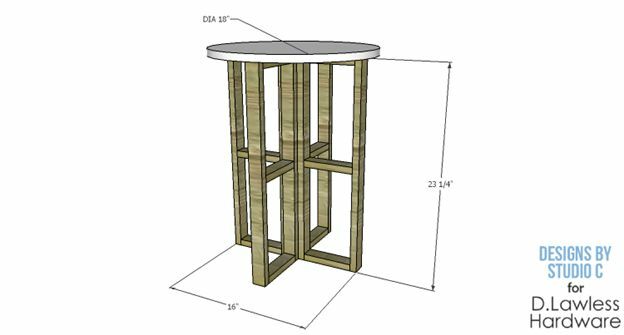 A round pre-made tabletop (available at most major home improvement retailers) is secured to the top of the legs creating a super-simple table! Cut the pieces for the leg framing. Four assemblies will be created. Mark the position for the horizontal pieces on the vertical (longer) pieces and pre-drill the holes for the screws. 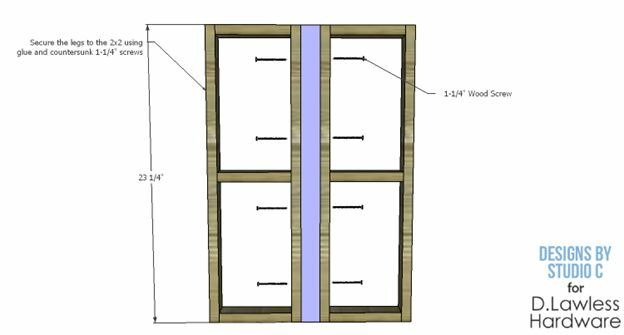 The horizontal pieces are secured to the vertical pieces using glue and countersunk 1-1/2” screws. Once all of the leg assemblies are created, they will be attached to the 2x2 to create the table base. 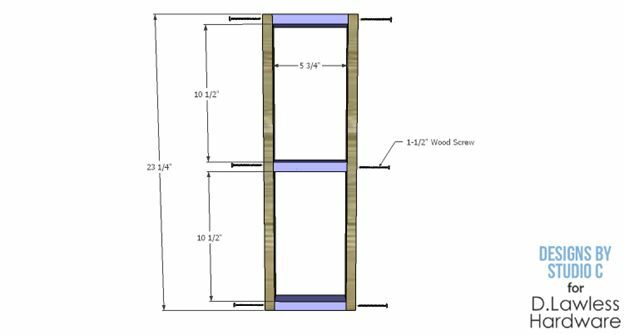 Secure two sets of the leg assemblies opposite each other to the 2x2 using glue and countersunk 1-1/4” screws. 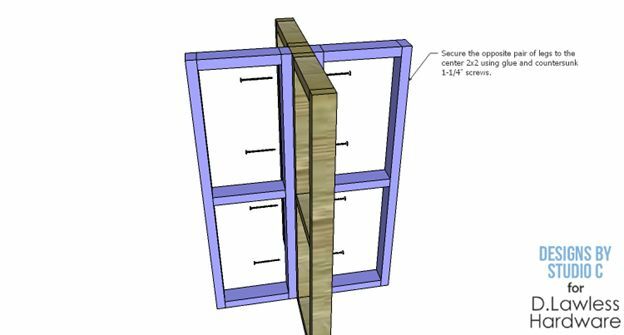 Secure the remaining leg assemblies to the 2x2 opposite each other using glue and countersunk 1-1/4” screws. 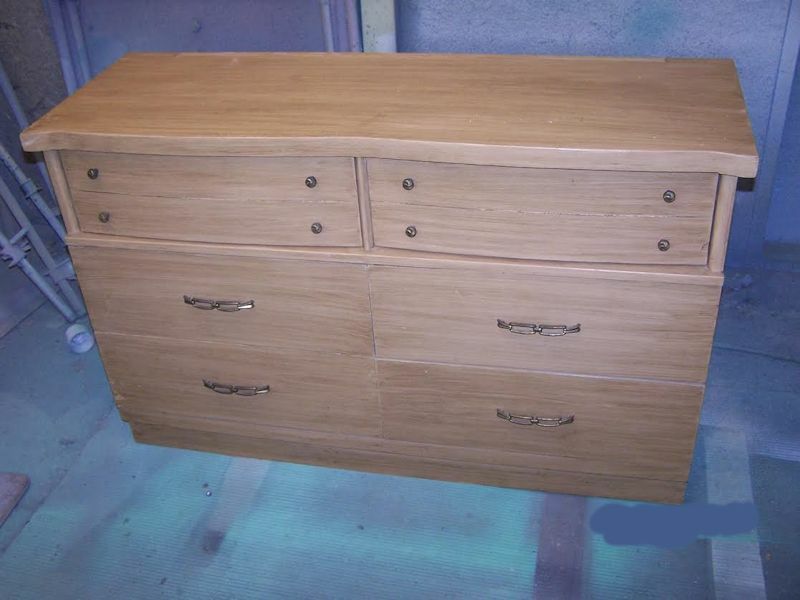 Secure the top to the base using glue and countersunk 1-1/2” screws. 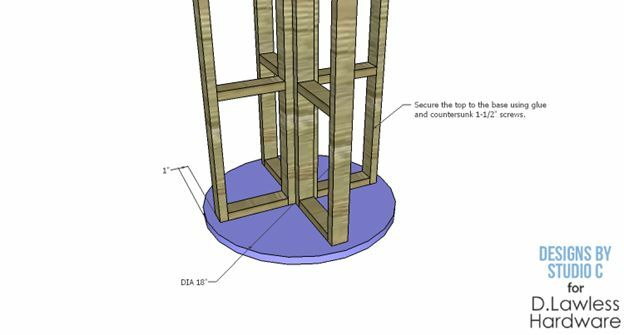 The top will overhang the sides of the leg assemblies by 1”. 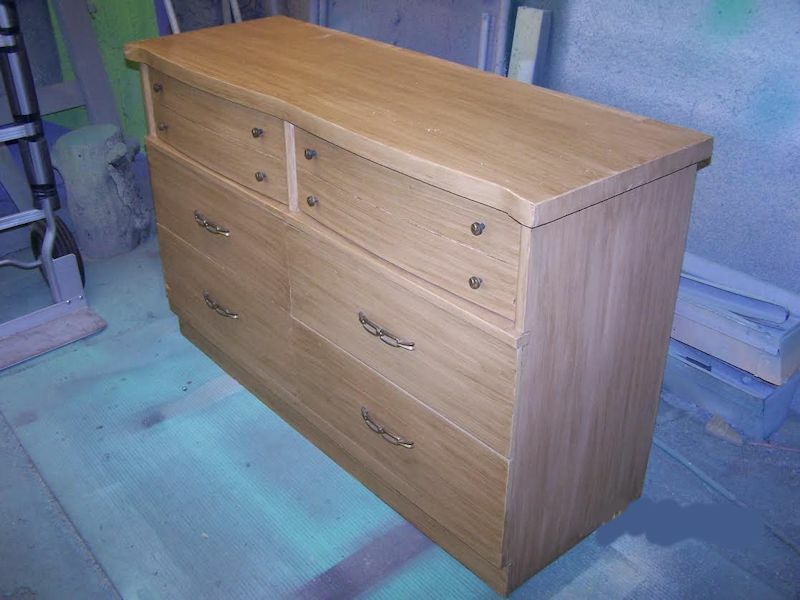 We were recently featured in a couple of blog articles from a customer of our's, Clockwork Interiors. So I thought I'd just post up a couple pictures and link to these really nice projects and the products they use. You can click the images to go through to the article. 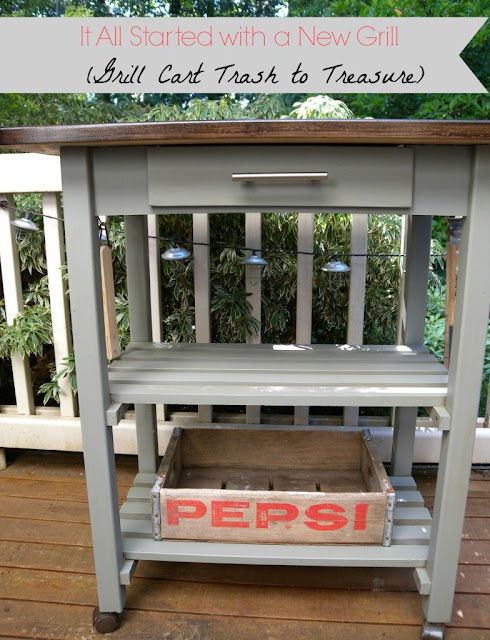 First is this nice little trash to treasure grill cart that uses one of our stainless steel bar pulls! 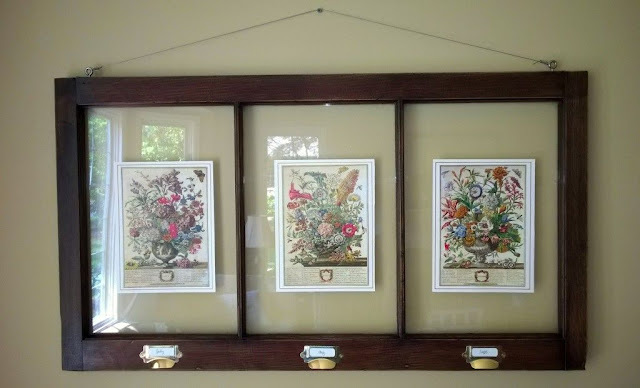 And next is a neat idea for using old windows for frames or inside decor and it uses our brass label holders. 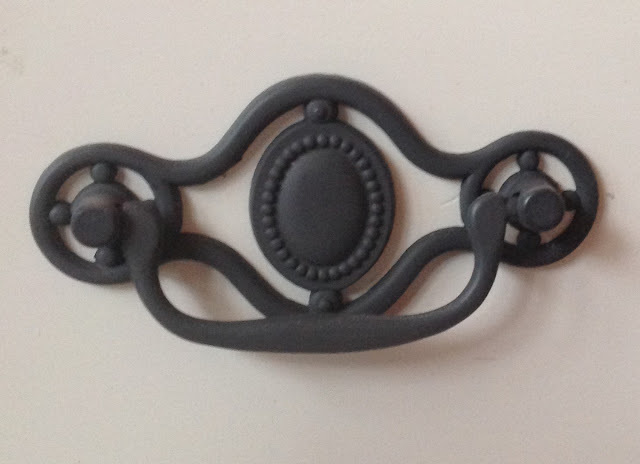 Finding the right hardware for a project is hard enough, but what if you are looking at a fabulous drawer handle that does not come in the finish you want? 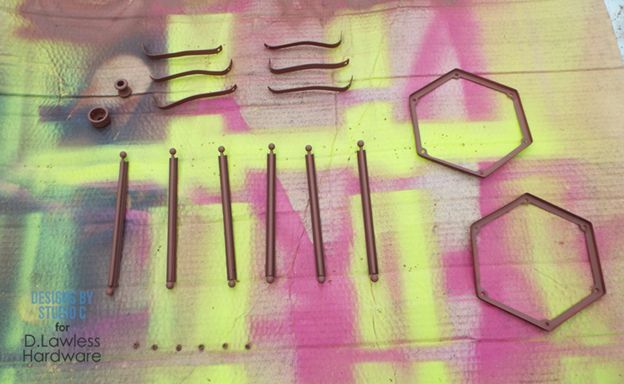 Spray paint it! 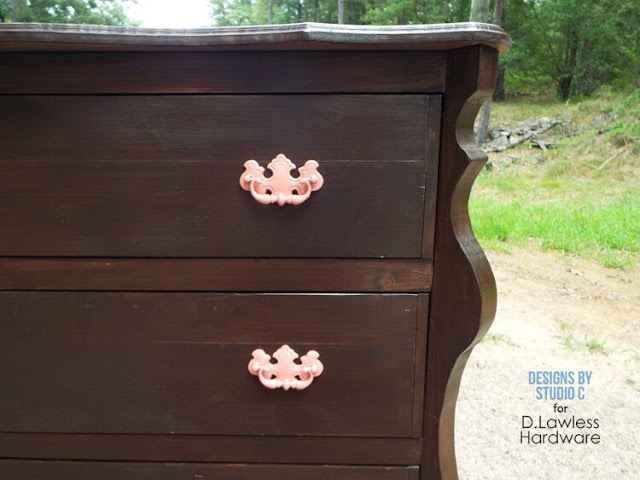 Yes, applying spray paint to hardware is easier than you think and I have a few tips for you! 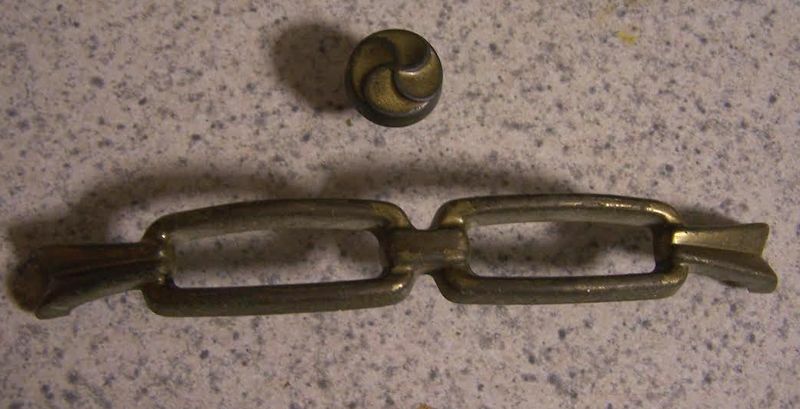 Start by cleaning the hardware with a bit of vinegar, then rinse with water and air dry. The vinegar will help remove any oils from hands (and cooking!) and does not harm the finish of the hardware. The pulls used in this project can be found here. Use a really good spray primer. I like to use red oxide primer for rusty metal. To me, this primer helps the paint “bite” into the metal a bit better than the regular grey primer. Use a quality spray paint and read the directions! 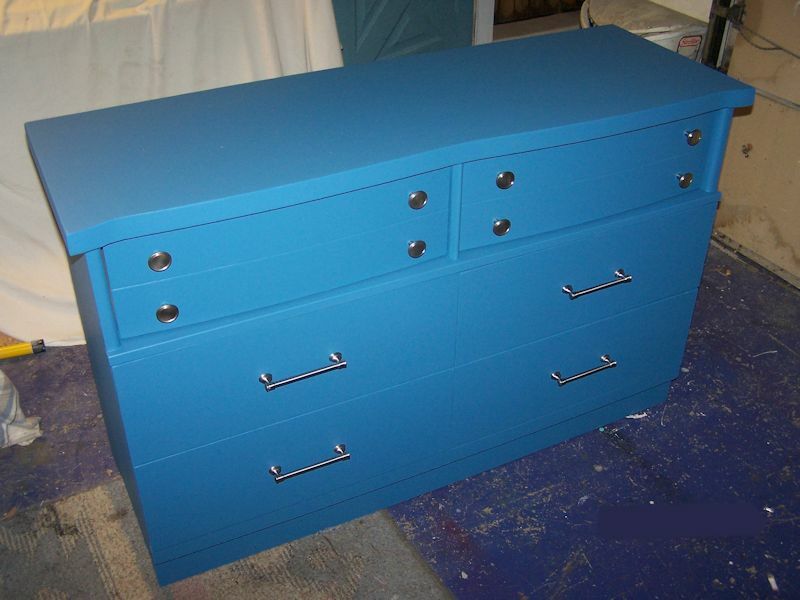 Some spray paints will allow a second coat to be reapplied within 10 minutes. 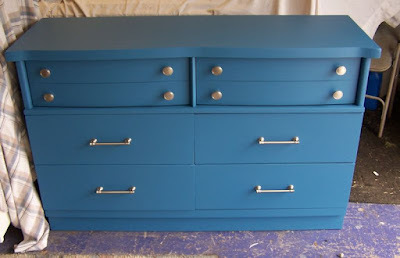 Always apply a second coat according to the time frame on the back of the spray paint can. This way, the dreaded wrinkling can be avoided! 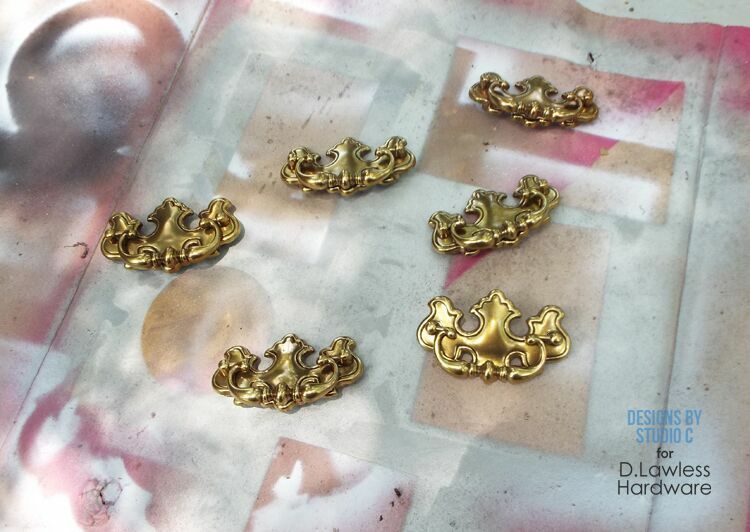 Let the paint thoroughly dry and cure. I am notorious for getting in a hurry and then end up gouging the paint or messing it up somehow! That’s it! Changing the color of hardware with a bit of spray paint opens up a whole lot of possibilities! I like bright colors and this is a great way for me to add a bit of color to an otherwise plain project!